Design Build4u local trusted builders for small to large projects. We project manage works to a high standard and finish ensuring jobs are completed on time and within agreed costs. Call us today for a FREE Quote. Planning and organising major building work around the home can cause a headache, even for the most competent DIY expert. Why not take away that stress and inconvenience by obtaining a quote from us and let us do the hard work for you…? Amongst the many aspects of the building industry, we are proud to specialise in: Building Extensions, Loft Conversions, Garage Conversions. 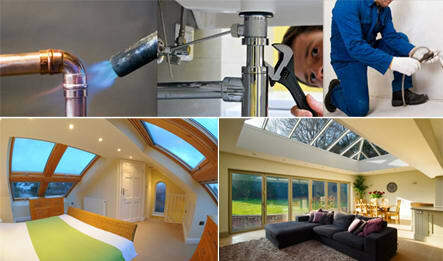 We cover many areas of the Home Counties including Bucks, Beds, Northants and Oxfordshire. We have a long list of contented clients who love the service, expertise and quality they received. 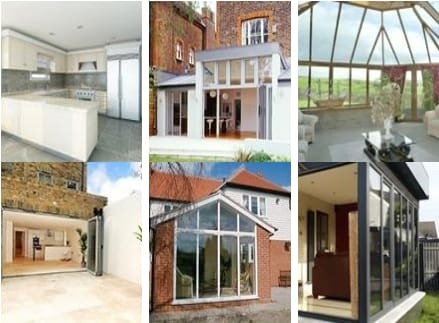 Whether a large extension, a small porch or a loft conversion, we pride ourselves in giving the client all the legal information needed to proceed with their project. Make that dream home improvement a reality by contacting us for a no obligation quotation from our friendly, knowledgeable team. From project planning at the beginning to the final finishing touches – we provide a one stop shop to complete the job – all under one roof!! Using competent, professional architects, our expert team and of course yourself…together we work towards creating a comprehensive design of the project you require. Discussing options to enhance your property whilst taking into consideration your budget requirements to obtain the best price for the work desired. With many satisfied clients to date, we always strive to provide the highest standards of building work you would expect. We work alongside you from start to completion of the build and whilst we are confident in our quality completion of the project, we are happy for you to peruse our previous work for yourself. We offer a personal service everytime. This enables a friendly yet professional relationship to build, alleviating any anxieties that may arise instantly. We pride ourselves on providing a second to none service, guaranteeing client satisfaction throughout. We work 4U! Extending your existing home to create more space can be more practical and cost effective option than moving home. Design Build 4u offer a cost effective solution. Using your loft to create additional space can be a great way of adding space and value to your home. We can design and build the perfect conversion 4u! We specialize in converting your unused and cold garage into useful living space without breaking the bank! We design, build and help with any local authority approvals. Whether its timber barn, ex commercial property or simply renovating an existing dwelling we liase with architects, local planning to complete the project of your dreams.